So August was my best month running so far this year, yay! I still only hit 41 miles though. *sigh* Still, I have to remember that it is a slow progression I’m after – I must avoid getting injured again!! So I just recently was made aware of an absolutely phenomenal effort underway as I type. Eddie Izzard is running through Great Britain – he has completed 40 marathons since late July! He is running for charity, collecting donations online for Comic Relief. When he started out, he had 5 weeks of training under his belt. Amazing! You can follow his progress through his blog or twitter. And if you can, please donate a bit! Finished up my latest pair of socks today, yay! I am eagerly awaiting the arrival of more yarns that I’m going to be designing patterns for… I am SO excited about this new endeavor! :) It’s putting a delay on my other planned projects, but I’m ok with that. 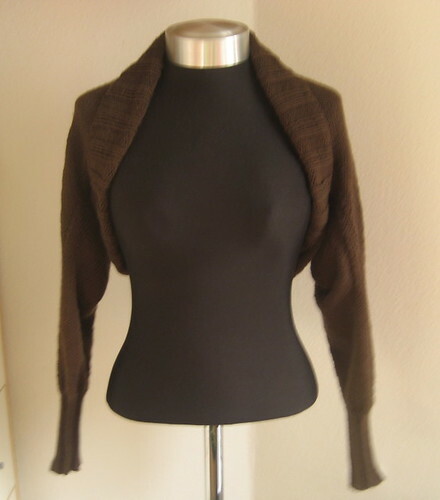 I also want to knit up a shrug to keep at the office. I have a shawl there now, but it honestly doesn’t quite work for keeping me a bit warmer. 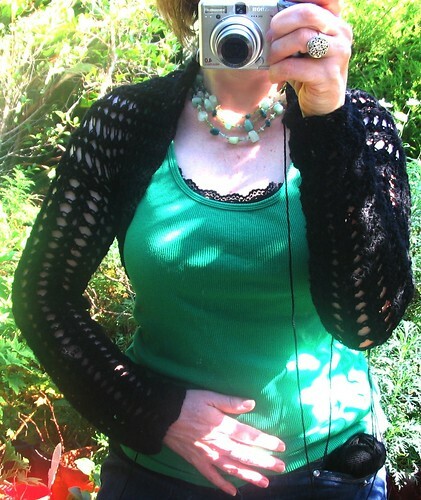 I need something to cover my arms fully – I’m thinking about a couple different patterns to try! I dyed bare sock yarn for this pattern and included my notes on the flavors of Kool-Aid to use in order to get these colors, too. It’s a cuff down pattern with heel flap. Next subject… allow me to preface this bit. I am not an emotional movie/TV/commercial watcher. I know people that cry over Publix or telephone commercials. That is so not me. I’ve cried over very few movies. One doesn’t count because I was pregnant at the time – eliminating that one, I had cried over 3 movies until this weekend. Truly, Madly, Deeply gets me shedding a few tears when I watch it. The Curious Case of Benjamin Button admittedly got me a bit misty eyed at the end. Seven Pounds… well, I honestly sobbed my eyes out over that one. I finally got my hands on a copy of Recovery. It’s a TV film about a family trying to cope with the after effects of the father getting hit by a truck. He ends up in a coma, pulls out of it – but suffers from brain injury. Some of the best acting I have ever seen, in a nutshell. The story is incredible and completely realistic – it is not a movie for those wanting a happy Hollywood ending. This one is reality, not sugar coated happy-happy. It is a movie that will stick with you for days. Yes, I cried watching it. I cried a lot. So much so that I had to go back and re-watch parts of it that I’d missed because I was crying. Other parts I just had to re-watch because the acting was just so incredible. If you ever get a chance to see this one, DO! 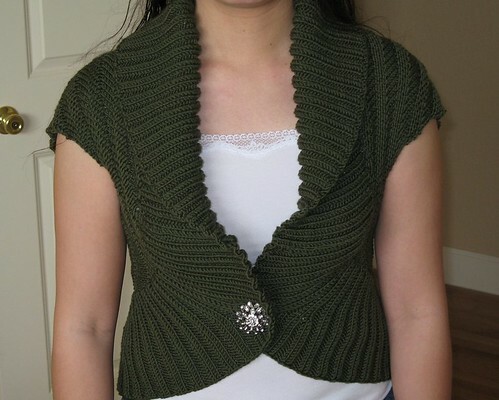 So in my search for shrug patterns, I came across some really terrific patterns – check ’em out! Remember, click the picture to go right to the pattern page. * SO cute! Not what I'm looking for, but cute! * I really like this one, too! * This pattern is definitely one I am thinking about! I love it! 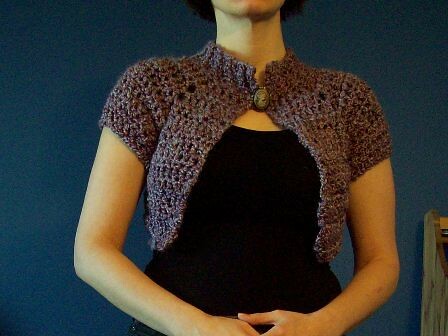 * Another crochet shrug - nice! * I really like the wide sleeves on this one. * Another one that I've had in my favorites for some time! * Very cute crochet version! 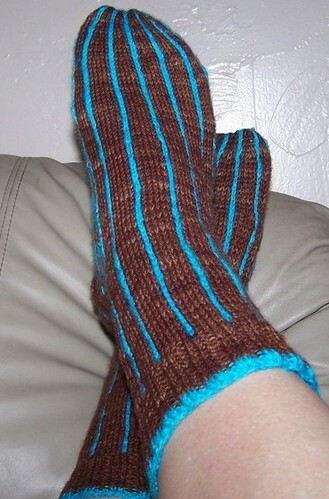 This entry was posted in Running and tagged Doctor Who, Free Patterns, Knitting, Running, Today's Ravelry Search. Bookmark the permalink. 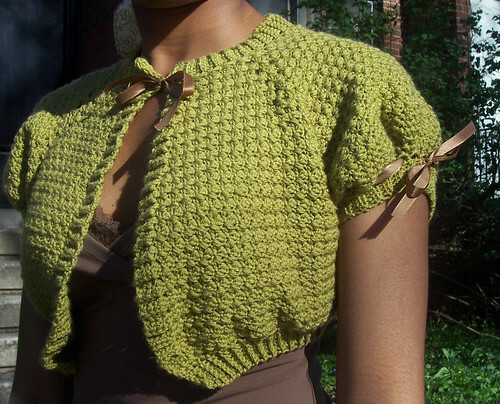 I love those shrugs, I have one, but I am thinking of knitting/crocheting some more, especially because the reason you want them (air coditioned office) and because i also have some yarn, that is just not enough for a whole sweater. Aw, thx A! :) These actually could be done toe up very easily – I mainly did cuff down because 1) so many people prefer it and 2) I wanted to carry both colors all the way to the tip of the toe. It could be done toe up, though cast on could be a bit challenging. eddie izzard is amazing isn’t he?? love the Ten socks and I agree wholeheartedly about Truly Madly Deeply and I’m not even a Rickman groupie!! I really liked Eddie Izzard before, but he’s truly knocked my socks off with this undertaking!! TMD is a fantastic movie, but I cried much more watching Recovery. Both David Tennant & Sarah Parish blew me away in it – absolutely amazing, both of them. The title of this post had me a bit surprised. “Ten [miles]?” Then I discovered that it was about a sock pattern. Yeah, I can’t wait until the cool weather arrives late next month. Only four more weeks of this hot ‘n humid stuff.